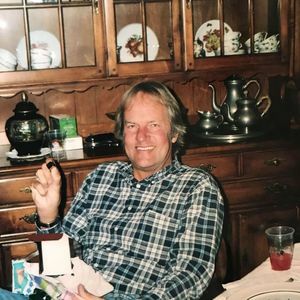 Robert D. Rosendahl, 64, passed away from lymphoma Friday, April 5, 2019. Bob was born June 22, 1954, in the Chicago area. Bob was always curious and enjoyed learning throughout his life. He earned a chemistry degree from Calvin College and a computer science degree from Grand Valley State University. Bob was preceded in death by his parents Duane "Rosy" and Connie Rosendahl. He is survived by his siblings and their families: Diane and Tony Signore (Julia and her husband Abe, Dan), Ruth Ann and Harold Blaauw (Jim and his wife Katie, Jeff, Will), Bruce and Vicki Rosendahl (Ted and his wife Monica, Tom and his wife Brooke, Micah, Angela); and many loving extended family. A private interment service will be held at Lakewood Cemetery. A visitation will be held from 10:00 am – 12:00 noon, on Saturday, April 20, 2019, at the Langeland-Sterenberg Funeral Home, 315 E. 16th Street, Holland MI 49423. Memorial contributions may be made to American Diabetes Association or Calvin College.